Sunday, Feb 24 1 p.m.
Tract 1 80 +/- acres at the corner of E 800 Rd. & N3460 near Parkland. 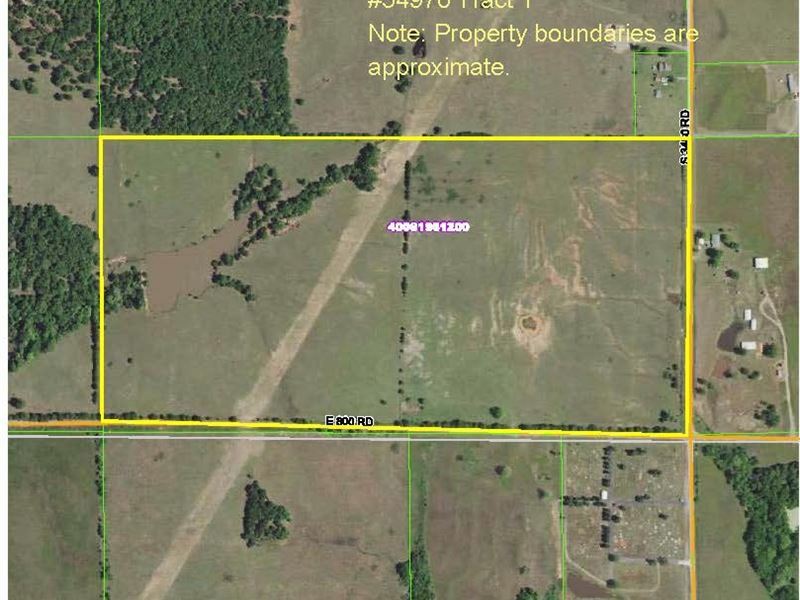 Fenced with rolling terrain, approximately 2 acre pond and multiple home sites. Tract 1 of 3. These properties will sell individually to the highest bidders. TERMS Seller will accept the highest bid or bids at the close of the auction and provide an abstract to date and a proper deed at closing. Buyer must make a 10 deposit at the conclusion of the auction and pay the balance in cashier's funds at closing within 45 days of sale. Announcements day of sale supersede all advertising.